No one who has read my blog should be surprised that I was big into D&D. 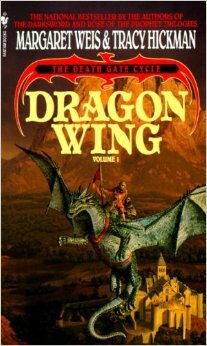 So I read a lot of the D&D novels and none were better than the writing duo of Margaret Weis and Tracy Hickman’s Dragonlance universe. They were a league above the rest of the writing in the D&D universe with rich characters, great villains, and the willingness to take risks. I ate them up in my teenage years. And soon I moved onto their non-D&D books. I loved them from the Darksword Trilogy (later Tetralogy) to the Rose and the Prophet series. But their writing that really blew me away was the Death Gate Cycle. It was fantasy like I had never read before. Everything else I was reading was quasi-medieval Europe with magic, but Weis and Hickman showed me that fantasy could be so much more. 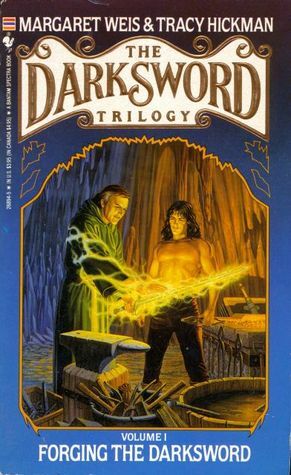 At first blush, the Darksword Trilogy is just another in a long-line of Europe with magic, set in a small world surrounded by a magical barrier. And then you find out what’s beyond the barrier—our future. Humans have colonized the stars and driven everyone with magic to this one, remote planet where they buried their heads in the sand and forgotten all about the evils of Technology. 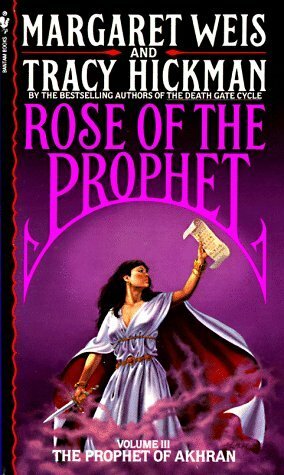 Their Rose and the Prophet series was set in an Arabic setting which was lots of fun, but neither series compared to the Death Gate Cycle. In our future, a war happened between two sects of spellcasters known as the Sartans and the Patryns. The Sartans, losing the war, did the most horrendous thing possible—they destroyed it. Then they rebuilt it as four separate worlds based around the four elements. Weis and Hickman lead you on an exploration of these four separate worlds. The world of Air, composed of islands floating in the sky and Elvish flying ships battle humans riding dragons. The world of fire, is a Dyson sphere with its suns at the center and a jungle growing around the inside of the planet. A world of perpetual daylight where entire civilizations live on the treetops never seeing the ground. The World of Earth is a labyrinth of caves worming through a planet’s crust, where seas of magma provide islands of life for the inhabitants. And the World of Water where the seas can be breathed and the races live on small, living planets that float through the water. They taught me that fantasy can be anything you can imagine. You don’t need to be limited by any of the constraints of our physics, or logic, or universe. As long as your rules are internally consistent, you can have a world of floating islands hanging above an eternal Storm. 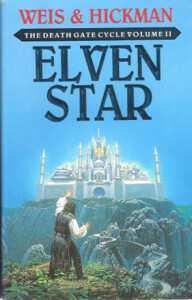 Fantasy doesn’t have to be Medieval Europe or any other representative of Earth. You are the only person that can limit your universe. This is why I write fantasy. To create places and universes and sights that are not possible to experience. To transport my readers to new worlds and unfurl them across the pages I write. To let my imagination free to create what it wants. That’s what I learned from reading Margaret Weis and Tracy Hickman. Great blog, once again! I too am a big fan of Weis/Hickman’s D&D series. Why have I not read the ones you listed here? That will now be remedied! Thanks for sharing. Thanks Valerie. 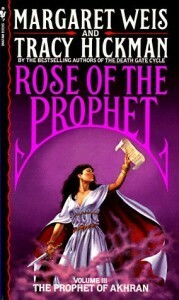 The Death Gate Cycle is still in print, but I think Rose of the Prophet is out of print. Which is annoying because I lost my copies in a move.